Get Finked with Gross vom Krampfink! 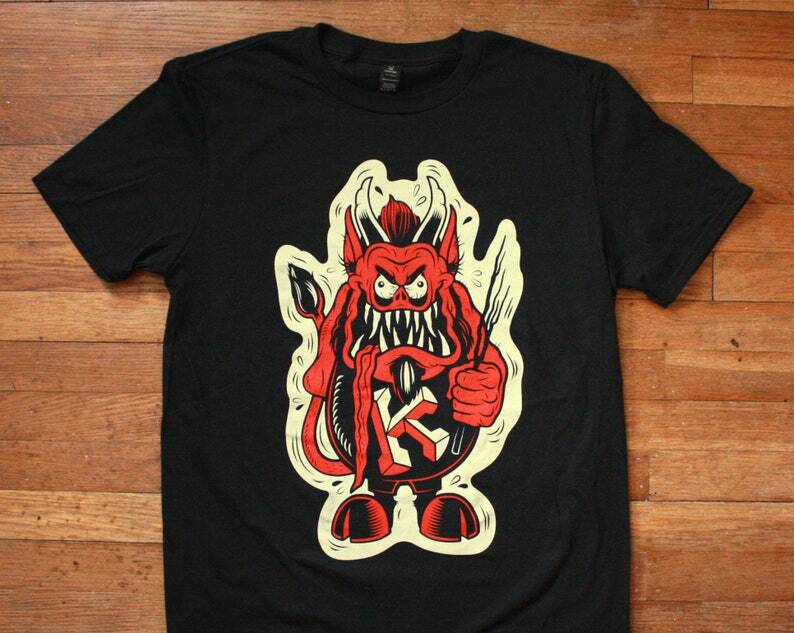 Krampfink is a mash-up of your two favorite, most gnarly of stinky, drooling creatures. Artwork by Nik Scarlett. Printed locally in Philadelphia on Anvil Lightweight t-shirts with a soft, discharge print (a discharge print means that the print is IN the fabric, instead of laying on top of the fabric). Once washed, the tee will have a vintage look and feel to it. Please see the size chart shown in the alternate product photos to help find your proper size. Generally, these are true to size, but if you have any specific questions about sizing, I'd be happy to try and help. Just send me a message! Perfect! The quality of the artwork, print and t-shirt are amazing!